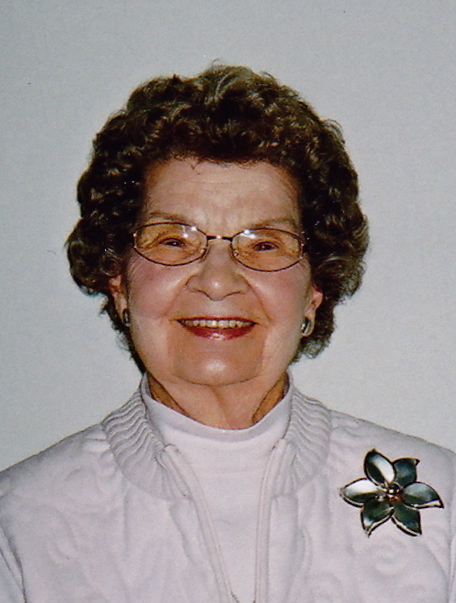 It is with much sadness that we announce that Veronica “Babe” Setla passed away on July 9, 2018 at the Fairmont Extendicare facility in Lethbridge AB at the age of 95. Veronica was born in 1922 to parents John & Veronica Kubik. Her parents arrived in Canada back in the early 1900s from Czechoslovakia. It was Babe’s parents who instilled the work ethic and core values that carried her throughout her lifetime. She worked the Family business at the grocery store on Main Street in Blairmore, which carried them into the dry good store that Babe & brother Joe Kubik ran for many years. Her work ethic brought her to the store very early in the mornings so she could have the sidewalk swept for all the customers. From there, Babe and her brother Joe, built a successful junior department store under the names of ROBINSONS & KUBIK STEDMANS STORE. Babe, was well known throughout the community as a person with a great smile, always had her kitchen door open for friends, & a huge heart to help people. Babe was a proud resident of the Crowsnest Pass & was a member of the CWL for many years. She loved going to her Catholic Church and was dedicated. Her hobbies included needlepoint, crocheting blankets for friends & family, and sending out many letters with her old typewriter. For many years, up until her late 80's, Mom's greatest joy was flying to Vegas and playing the slot machines where she met many friends from around the world playing in gambling tournaments. Mom was a devoted wife, mother, grandmother & great-grandmother who loved each one very dearly. Every summer she had the grandchildren come to Blairmore and spend the week touring all the sites. 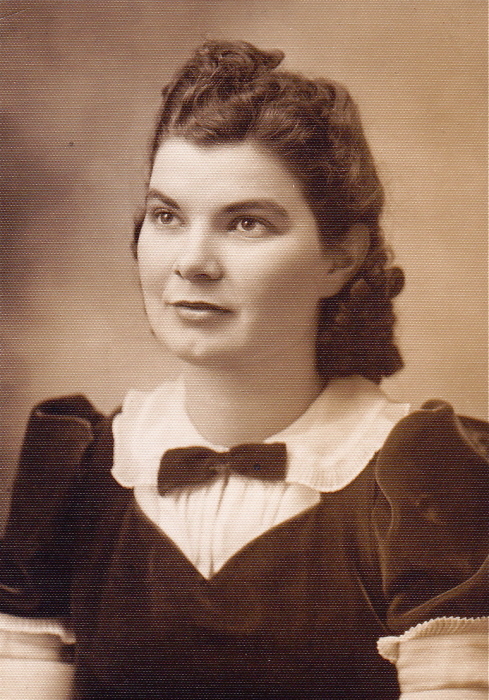 She travelled quite often to Lethbridge & Calgary to visit all family when she could. She often expressed how she loved having a wake up call from her sons every morning at 7 a.m. & also having Al make her breakfast omelets. She looked forward to seeing John's beloved dog, Bella when he was in Blairmore. The family would like to thank all staff at the Extendicare Fairmont, as well as the staff at the Chinook Regional Hospital for their remarkable care. She leaves to mourn her devoted sons, John (Lori), Jim (Debbie), Alan (Darlene); her beloved granddaughters, Shawna (Ryan), Michele (Larry) & Joanne (Wes); her great grandchildren, Nixon, Jaxson, Austin & Riley; as well as countless friends. Babe was predeceased by her mom, dad, sister, brother, and her beloved husband, Harry. The Funeral Mass will take place at 10:00am on Saturday, July 14, 2018 at the Holy Trinity Roman Catholic Church (13126 – 21 Ave., Blairmore, AB) with Fr. Vincent Ha as Celebrant, assisted by Deacon Renso Castellarin. In lieu of flowers, donations will be gratefully accepted by the Holy Trinity Roman Catholic Parish “Building Fund” (PO Box 1410, Blairmore, AB T0K 0E0), or the Crowsnest Pass Health Foundation “Greatest Needs” (PO Box 455, Blairmore, AB T0K 0E0). Condolences may be registered at www.fantinsfuneralchapel.ca. Fantin’s Funeral Chapel entrusted with the arrangements.